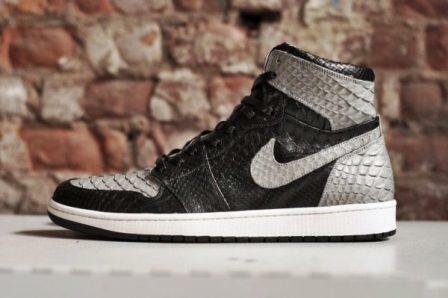 Back by popular demand, Jacob Ferrato of JBF Customs is re-releasing his popular customization, the “Shadow” Air Jordan 1 Python. Handcrafted by Ferrato in his Cleveland, Ohio studio, the iconic Air Jordan 1s are reconstructed using actual python skin and are fully lined with soft milled vegetable tan leather. To make things sweeter, black leather LaceLab laces and the actual shoe base are included with purchase. And since these are custom made shoes, each pair takes up to four months to make.